"As the Last Note Lingers On" by Sharon Hopper. Oil. 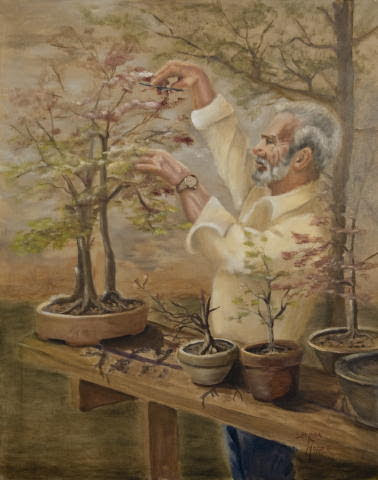 "Bonsai" by Sharon Hopper. Oil. "Fandango in Motion" by Sharon Hopper. Oil.